Plymouth Argyle manager John Sheridan says Marvin Morgan's going to hospital after training might have been caused by him not fully recovering from flu. "He just went down," said Sheridan, who did not see what happened. "He was off ill for a week with flu and whether he's recovered fully from that or not, that's my diagnosis as manager." "As soon as it happened everyone was there and he was looked after the best we could," added Sheridan, who praised the work of physio Paul Atkinson. "It's still going on, he's in the physio's hands and hopefully everything's OK with him. "Paul's the man in charge and Paul will get the best treatment for him." 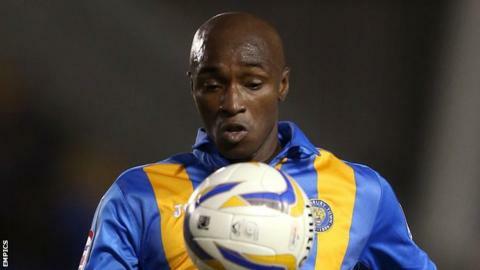 The 31-year-old striker after being released by Shrewsbury Town and has scored once in 23 games for the Pilgrims.